New York is just absolutely stunning!!! 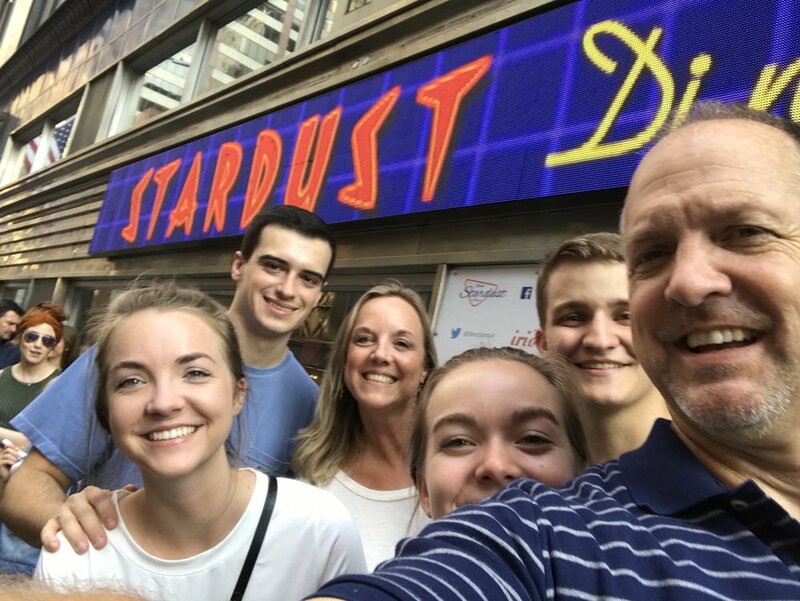 For your viewing pleasure, I'm going to be blogging about my fun family vacay in a small series. 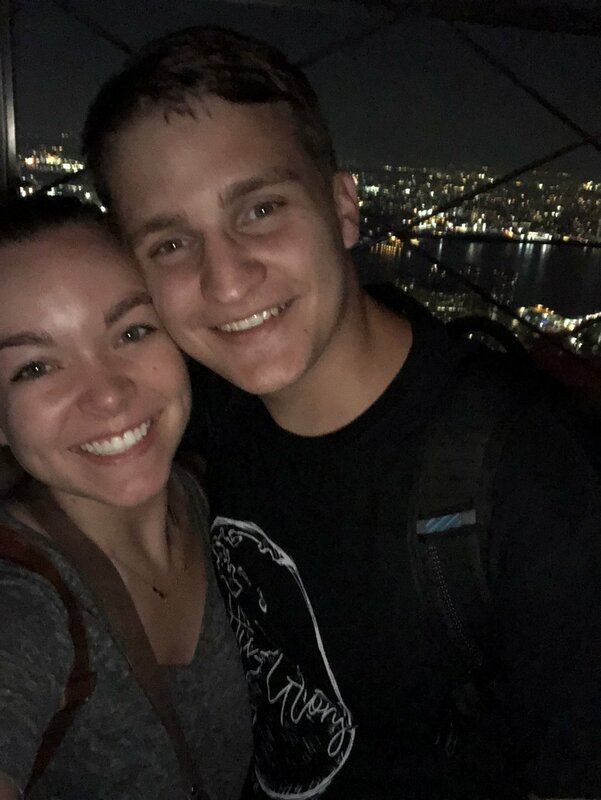 And I'm sure you all know what that means.....PROPOSAL BLOG!!! So let's dive in shall we? What did traveling with the Grubb / Huggings / Marcus clan look like you ask?? Well I'll tell you!! When we landed we were starving. Three hangry Grubb girls is NOT GOOD! 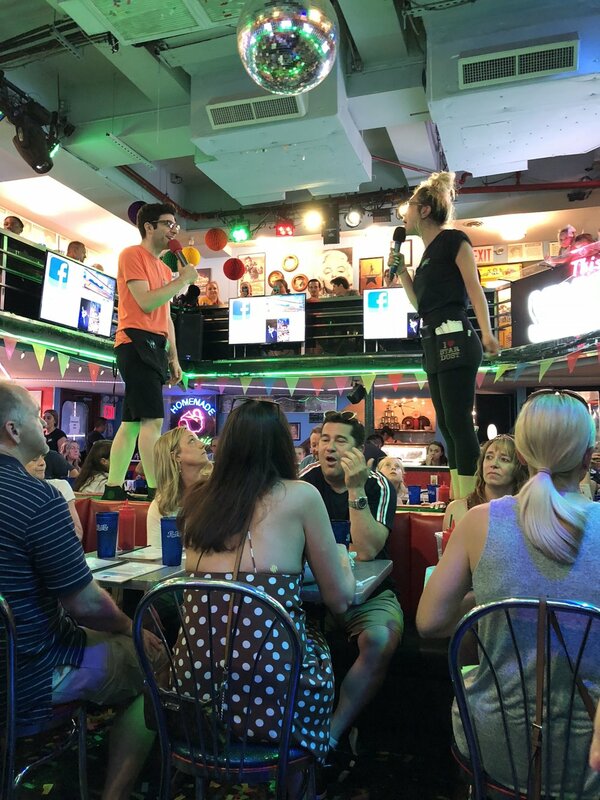 So, we made our way to Ellen's Stardust Diner. This place is a must eat at restaurant when touring New York. I'll be honest. The food is not outstanding, but the workers SING to you while you eat! They perform broadway hits and they were amazing!! After dinner, we walked around New York and found Times Square. It's quite hard to miss because of all the bright lights! It's so cool how tall all the buildings are and the giant advertisements that are literally everywhere! 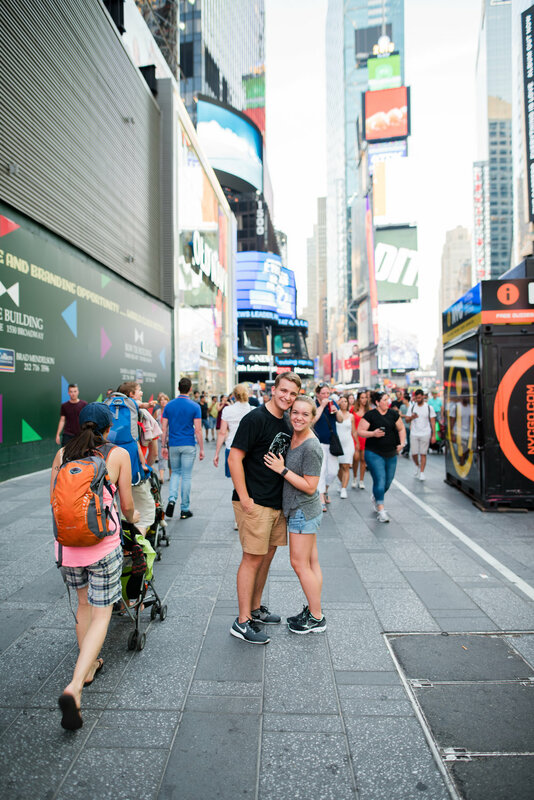 We walked our way through Times Square to tour the Empire State Building. This experience felt like Disney World. Crazy long lines and it was SO worth it!!! Do NOT skip this! P.S. I thought it would be super fun and cool to bring my camera to New York and that I would carry it around every day and take awesome photos! NOPE!!! My camera is extremely heavy and New York was extremely hot and crowded which made holding a camera no fun. So, most of these are cell phone pics and only a select few are via my camera.